Sometimes a place you totally wouldn’t want to visit could toss in a surprise – A good one I mean, and you end up loving the destination entirely unexpectedly. 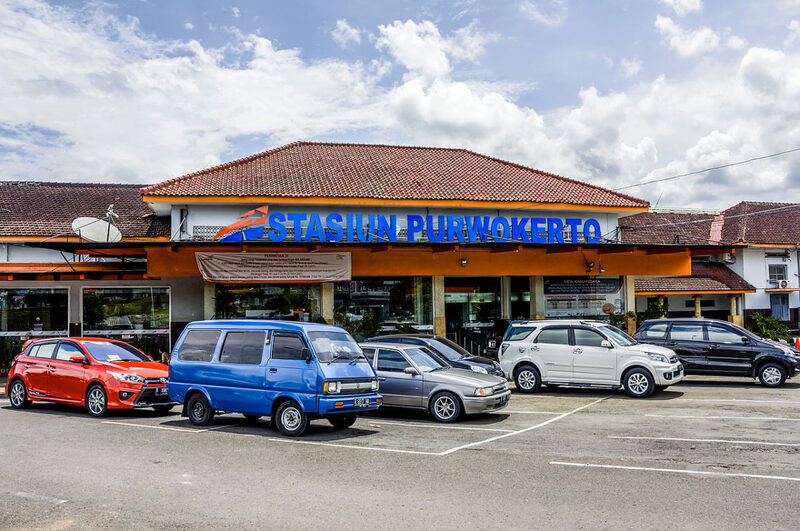 Well, one such place is Purwokerto – not on any regular traveler’s list. Because if you glance through for information, it gives you an impression that it’s a place to pass. If you still try to give it a chance, be ready for a pleasant surprise! Sandwiched between the capital of Indonesia, Jakarta and the famous city Yogyakarta, Purwokerto is a sleepy town in Central Java. This quaint town beckons travelers and adventure enthusiasts for its own reasons. I have explored Bali, the most popular destination for nightlife in Indonesia, and had been to Ubud, the town rich in arts. My best experience was visiting Nusa Dua, where beautiful rock temples stand right next to the sea. Exploring Java, especially the Lombok has been on my list for long now. Purwokert is a town that you have to cross if you’re in Central Java. You could easily miss this place for a regular city if you are following the normal tourist trail covering only the main attractions. On the contrary, if you are planning to hike in Indonesia for mountains with live volcanoes that offer magnificent panoramic views, you cannot miss this town. Because this quaint town is about 18 km from the base of Mount Gunung Slamet, the volcano of which is the second highest in Central Java. This city is more than just a pit stop. You’ll be surprised by what all the town has. The river flowing by the hillside in Purwokerto adds to the lush landscape. Purwokerto is of historical and political importance to the people of Indonesia as it has been the hometown of many national leaders. The railway station of Purwokerta is itself worth visiting because it looks so different, and has a great history behind its construction. There is Alun- Alun, a small park in the center of the city. Apart from that there are musuems and many historical buildings that you’ll find on the main streets. Most of them are government owned buildings now. Also, there are many places around the city including a few malls in the center to kill time.As far as entertainment goes, the city holds puppet shows from time to time, called as Grebeg Suran. If you’re into nature, you could walk around the town until just outside for great views of the town and the surrounding scenery. A day trip is surely worth while you stop here for the big hike to watch the fantastic views of the volcano in the mountains. Apart from walking to the hills, there are some places worth visiting. 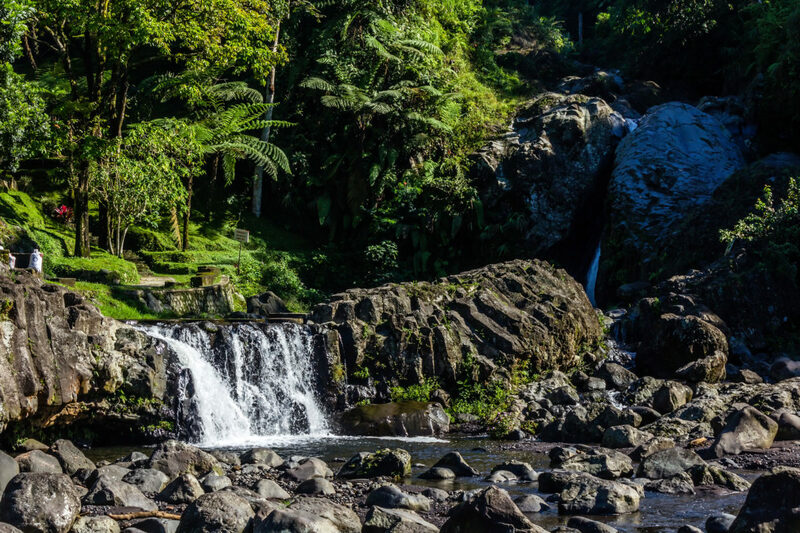 The most famous among them is Batu Raden waterfalls, located amidst the dense forest of Batu Raden. You can hike along the trails flanked by beautiful greenery in Batu Raden. There are also many adventurous activities conducted here for you to sign up if you dare for some adventure! Also, if you hike through Pancuran Tujuh forest, you could get to see the natural hot springs. The must try delicacies of Purwokerto includes Mendoan or the Fried Tempe, which is the best you could find in Central Java. Sojo Purwokerto is another speciality of this town, apart from the rice cakes and desserts made of coconut milk. The best way to reach Purwoketo is by road as there is a well-connected network from both the capital Jakarta as well as Yogyakarta. It takes about 10 hours and 6 hours respectively and there are frequent from both the places. It’s better to buy the tickets well in advance as sometimes the buses might get limited without prior notice. 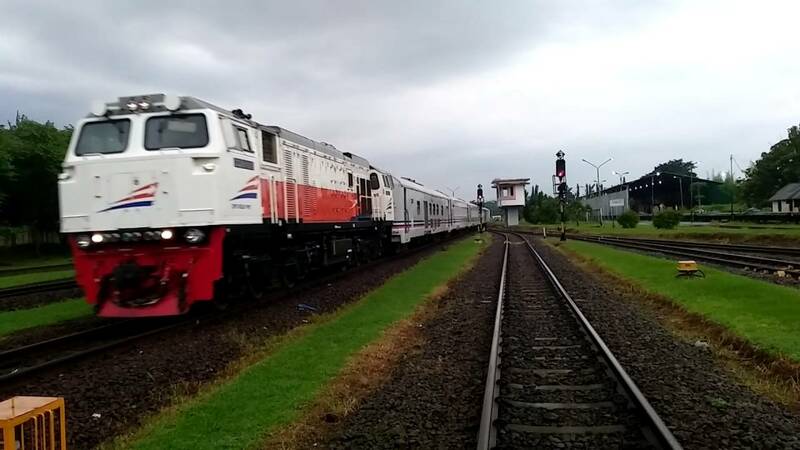 Another option is to reach by train, by taking the trains that run between Jakarta and Yogyakarta. Purwokerta is relatively inexpensive considering it is a small town. However, the prices of accommodation and restaurants, in general, can see a spike during the peak season of hiking the Mount Gunung Slamet. There are quite a few accommodation options for all the budget ranges. There are some decent hostels with basic facilities for the backpackers. For hotel booking, you could visit Traveloka. I prefer Dominic Hotel Purwokerto, as it’s close to many attractions of the city. Loved my post? Subscribe to my posts by email for my stories! Also connect with me on Facebook, Twitter, and Instagram.